Accreditation Commission for Health Care (ACHC) is advising health care professionals, to continue to utilize precautions as recommended by the CDC and to employ good infection control practices. Accreditation Commission for Health Care (ACHC), one of the nation’s largest health care accreditation organizations(AOs), is advising health care professionals, especially those working in non-hospital settings, to continue to utilize precautions as recommended by the CDC and to employ good infection control practices in providing services to their patients. Recent events have highlighted the need for first responders and health care workers in all settings to be educated and to employ a heightened level of awareness and vigilance in stopping the spread of the Ebola virus in the U.S.
ACHC is a not-for-profit accreditation organization that has stood as a symbol of quality and excellence since 1986. The organization has CMS Deeming Authority for Home Health, Hospice, and DMEPOS. 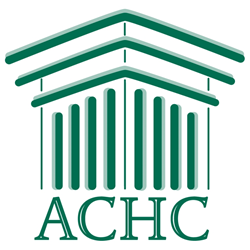 ACHC is the provider’s choice for accreditation because of their personal Accreditation Advisors, relevant and realistic standards, and competitive pricing. The organization’s unique consultative approach to accreditation is designed to improve the quality of patient care while enhancing business efficiencies through service-specific standards and industry-based best practices. Accreditation by ACHC reflects an organization’s dedication and commitment to meeting standards that facilitate a higher level of performance and patient care. For more information on ACHC’s accreditation programs and educational resources, or to download ACHC Accreditation Standards, please visit achc.org or contact us at customerservice(at)achc(dot)org or (855) 937-2242.